Litblogs linking to indie bookstores. It's long been a tenet of mine that bloggers and indie booksellers have a lot in common. We're the independent voice that's an alternative to corporate culture. We're beholden to no one but our own opinions of what's worth reading and recommending. We don't do it (just) for the money -- we do it for the love. So why shouldn't we support each other? Now that indie bookstores have figured out that blogging and reading blogs is good for them, it's time for bloggers to return the favor. When discussing a beloved book, rather than linking to you-know-what behemoth of online retail, why not link to your local indie bookstore, or a network of indie bookstores, instead? In the past, you could have linked to the book page of an indie store, but it would have involved a fair amount of HTML knowledge, and you wouldn't have gotten credit for the clicks that resulted. Then came the advent of IndieBound, and its wonderful affiliate program, which meant you could sign up to easily create links using text or book covers, and have the potential to make a little cash off of the resulting clicks. But your readers still had to go through another layer of clicking choices: once they clicked the book cover, they had to enter their zip code, then choose and indie store's website on which to view the books. This was a decision the ABA, which runs these stores' e-commerce sites, had made in the past in order to avoid competition amongst its member stores -- a well-intentioned move that unfortunately made internet denizens less likely to click through to any store when they just wanted the information, and thus made bloggers less likely to use it. But it's a whole new era now. IndieBound and its user-generated, responsive model means that we ask, we got. Now you can find a book on IndieBound (without having to first look up the ISBN) and create an affiliate link directly the book info page. When a reader of your blog clicks on the link, they get taken straight back to the book information page. Only when they decide they'd like to buy it do they need to choose a bookstore -- a much more logical path. This means that you can have a book cover image on your site that's a direct link to the publisher's information about the book, and you can get paid for it, and you can support an indie at the same time. So there's no excuse anymore. Bloggers, you know you're indie. 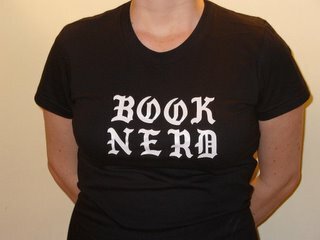 Step up and support your local bookstores by using IndieBound links in your book reviews. It's easier and better looking than ever. As President Obama, our first web-savvy commander-in-chief, observed, it's a new era of responsibility. If you care about having bookstores in your community, support them in the internet community. I'm demonstrating and celebrating today with a link to my favorite contemporary novel, Cloud Atlas by David Mitchell. Click on it! Check it out! Then get over to IndieBound and start making your own links.